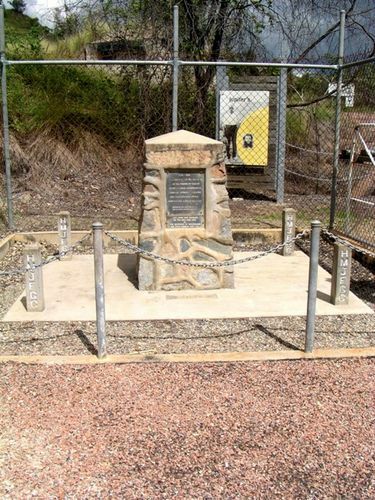 Cairn commemorates the site of gold discovery in 1871 and marks the centenary of the official confirmation of the site in January 1872. Jupiter an aboriginal, was given his forename because of his large luminous eyes, and his surname from his `owner` Hugh Mosman. Innocently, Jupiter showed Hugh Mosman the piece of gold bearing quartz and thus enabled the miners to discover, tons of gold-bearing quartz and peg their claims.